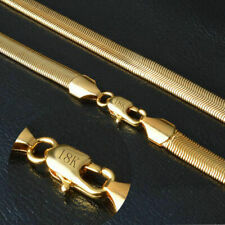 8mm Fashion Men Women 18K Gold Plated Snake Chain Choker Necklace Jewelry 24"
3/5/7/9/11mm Black Stainless Steel Chain Cuban Link Men's Necklace 18"-36"
EXTRA 10% OFF WHEN YOU BUY 3 OR MORE!!! Material: Faux Pearl. Bead Size: 5mm/0.20" (Approx.). Type: Necklace. 1 x Necklace. Occasions: Evening Party, Wedding, Banquet, Daily Life, Gift. Suitable for going party, banquet or just daily wear. Width Stainless Steel Necklace - Rolo Link Box Snake Rope Curb Chain 18/20"
Metal : stainless steel Color :black Brand Unbranded/Generic Style Chain Metal Stainless Steel Main Color Black Length (inches) 22 MPN Does Not Apply UPC Does not apply. APRIL 20TH - LAST DAY FOR MOTHER'S DAY ORDERS! 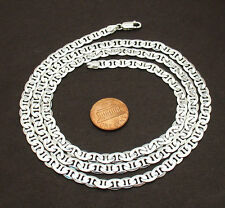 STERLING SILVER AUTHENTIC 1MM MEN THIN CUBAN LINK CHAIN NECKLACE SIZE 16"-36"